1. Particle shape: Needle and platy shaped grain content ≤8%. 5. Fineness modulus: 2.6~3.0 of adjustable sand. 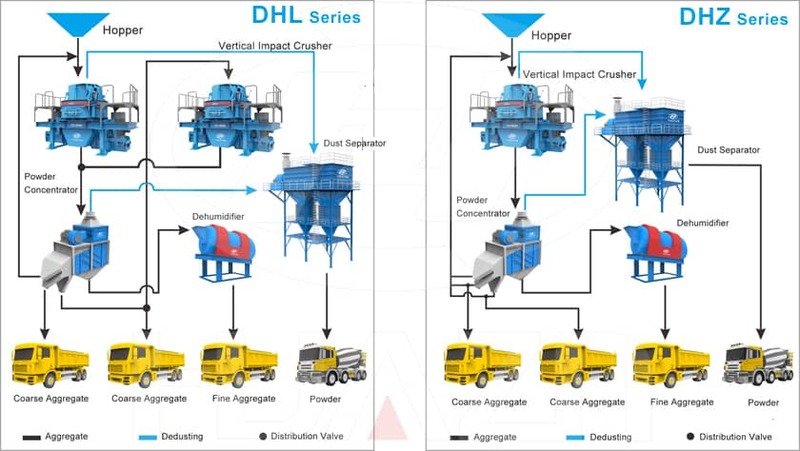 DHL Series sand production line adopts all-steel structure with small floor space, which has easy and durable technological process, convenient installation, and high productivity, etc. The produced products with the features of good shape particle, continuous grain composition and adjustable fineness modulus. 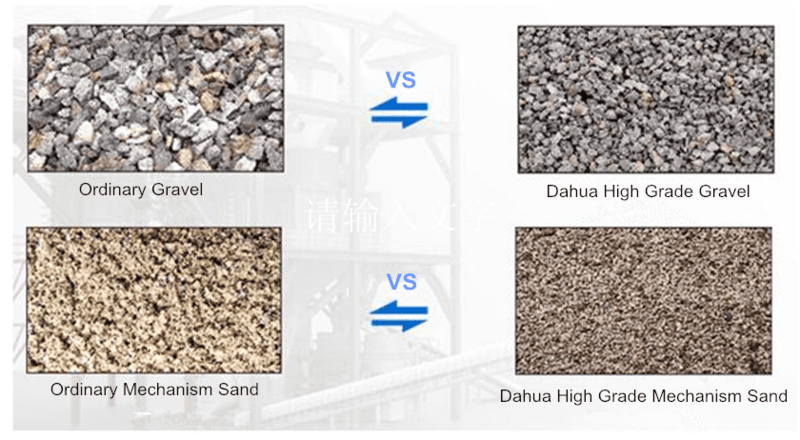 DHZ Series sand production line has simple structure, reliable and durable, and high production efficiency. The produced products with the features of good shape particle, continuous grain composition and adjustable fineness modulus. This production line adopts multipoint concentrate deducting system, effectively controlling the dust discharging.